- Dave will also demonstrate “CloserConnect,” an SaaS platform designed to enable the personalized, rapid deployment and real-time tracking of training and digital assets. Especially useful for reaching learners outside an LMS, CloserConnect requires no IT skills! Simply by dragging and dropping digital content (videos, PDF’s, Word docs, etc. ), admins can quickly get training to those who need it, when they need it. Plus, they’ll receive detailed reporting on usage and completions in real time. It’s fully mobile responsive so learners can access training from any device. www.closerconnect.com. 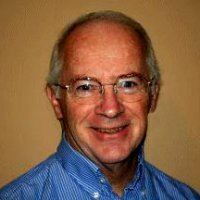 Dave McNulty is the Co-Founder and Co-Principal of both DScape Interactive and Closer Connect - leading providers of content development/authoring and applications for corporate, non-profit, and educational institutions. Under Dave's leadership the twin companies have grown to provide e-Learning, Communication, Sales Support, and SaaS platform solutions for Organizations such as Aramark, BMW, Dow Jones & Co, FedEx, Ford, Mercedes-Benz, Wakefern, UBS Financial, and more. In his spare time, Dave is a passionate supporter of educational programs and institutions, a proud father, and a thrill seeker.